One of my favourite romantic movies is the movie Serendipity with Kate Beckinsale and John Cusack. It’s everything romance should be – magical, whimsical, unexplainable, powerful, passionate, indescribable, and beautiful. It’s a perfect romance at it’s finest. The very heart of what we all crave in our own lives which is why movies like Serendipity move us so – they are the wish we long for within ourselves. Some of us are fortunate enough to find a love like the one portrayed in the movies. We are blessed to find our person – the one meant for us by the universe. That clichéd phrase “When it happens, you’ll just know” and the cued cheesy romantic music as the couple walks off into the distance – none of us ever think it’ll really happen to us. It only happens in Hollywood, we tell ourselves. Unless you’re like me and you still believe in the fairytale, holding on tight and refusing to settle. Those of you who know me and have seen my tweets or FB updates about happiness lately have probably wondered what’s up with me. I’m madly and deeply in love with an amazing man who is kind, caring, compassionate, lets me be me, and doesn’t require any masks of any sort. He is hilarious, intelligent, handsome, and fills my heart with happiness, joy, love, and peace. He knows my entire story and doesn’t judge me for any piece of it. There are no words, really, to describe how I feel about him. I told him the other day that “love” is a good place to start. The most amazing thing? He loves me right back…more, even, as he tells me often. We’ve fallen. We don’t want to get up. Ever. We are happy. We are magic. We are love. We are together. And now you know why I’ve been cryptically talking about my insane happiness. I wasn’t looking – neither was he, really. Things just blossomed and BAM. Here we are, completely blown away by the magic unfolding between us. I am so excited to finally be sharing this with all of you. There are no words to express how truly happy and magical I feel these days – none. I smile, a lot. My heart soars, my mind gets lost, and I am lost in thoughts of him, of us. There’s a freedom here I’ve never known – a joyous, happy freedom. I want everyone to know this kind of love. I am beyond grateful I do. If this is a dream, please don’t ever wake me. I’ve found my Prince and I don’t intend to lose him. This entry was posted in blogger, happiness, happy, joy, life and tagged crazy love, i haz happy, life, love, personal, romance, serendipity on June 23, 2012 by LHale. 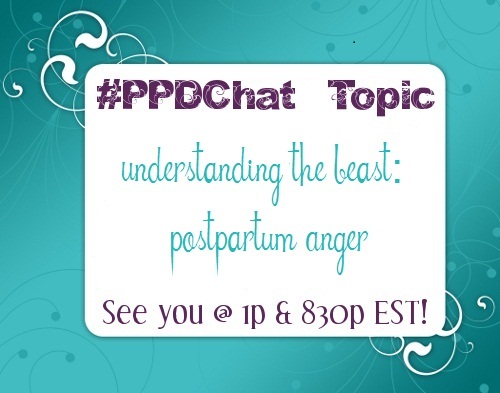 This entry was posted in #PPDChat and tagged #PPDChat, peer support, postpartum anger, postpartum depression, Twitter Chat on June 18, 2012 by LHale. 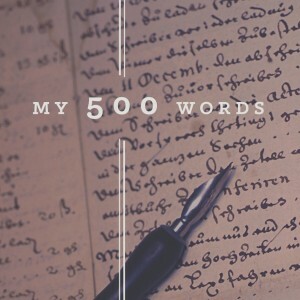 This entry was posted in blogger, Faith & Motherhood, prayer, Religion/Faith, strong woman, Whatever Wednesday and tagged blogging, faith, God, love, motherhood, Postpartum Mood Disorders, prayer, self-esteem, self-talk, sense of self, things i'm afraid to tell you on June 13, 2012 by LHale. 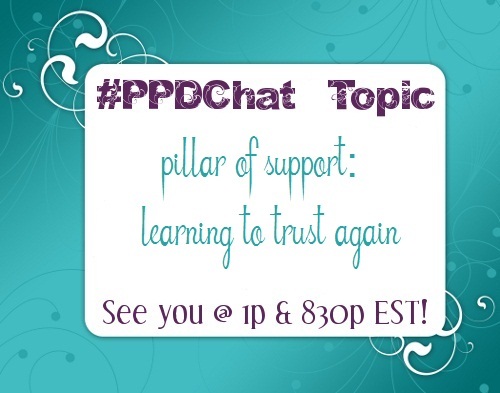 This entry was posted in #PPDChat and tagged #PPDChat, mental health, peer support, postpartum depression, PPD on June 11, 2012 by LHale.